Cassia bakeriana surprised me by flowering. A first in the garden is always an exciting time. I have been fortunate to have quite a few rare firsts over the years in my garden. 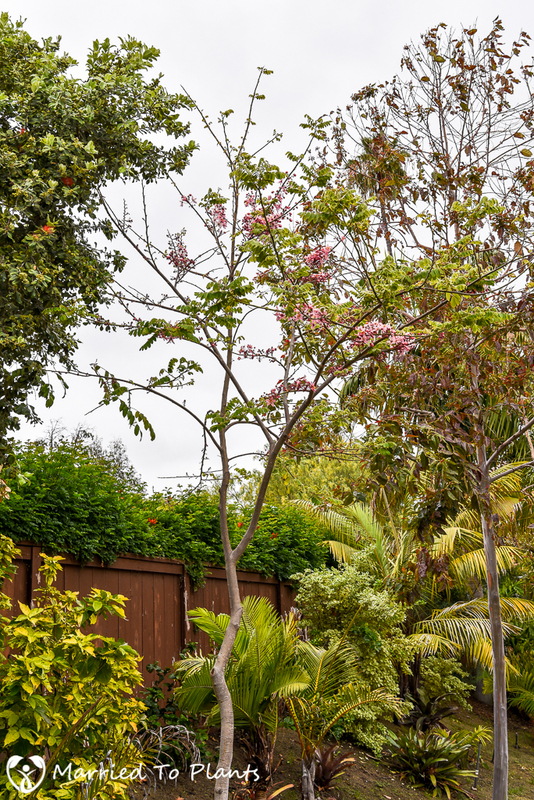 Some of my most memorable are when a tropical flowering tree finally reaches maturity here in my Southern Californian garden. 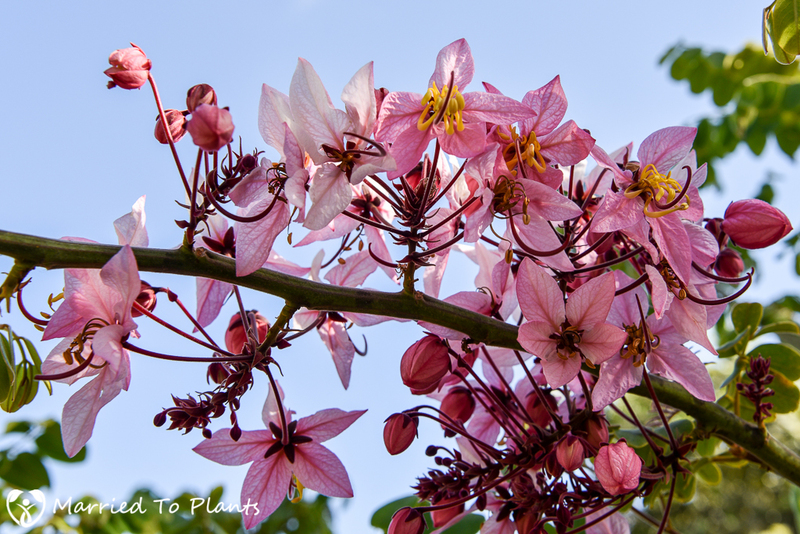 For example, when I had a first in the garden when my Cassia fistula flowered. Or more impressively when my Fernandoa magnifica flowered – a California first. 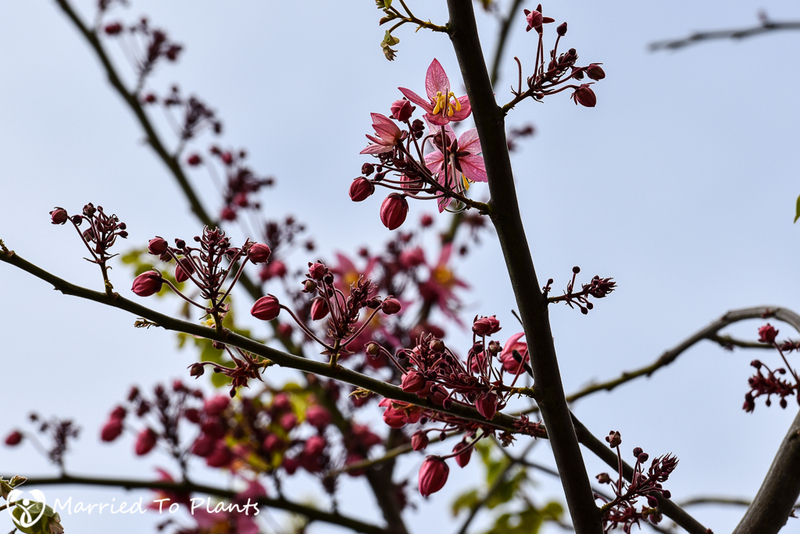 This year it is my Cassia bakeriana (Pink Shower Tree) putting on its first floral display. 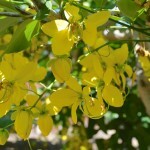 The first time I ever saw a flowering Cassia bakeriana was while visiting a friend’s garden in Ft. Lauderdale, Florida. 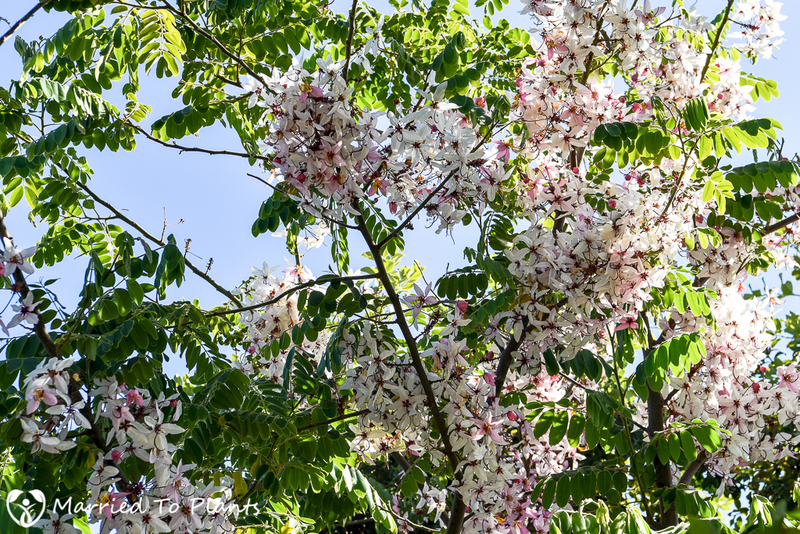 Right when I pulled up to his driveway I found a tall tree covered in pinkish-white flowers. Its long branches looked as if they were wrapped in flowers. 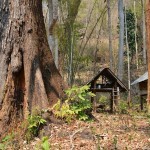 The tree was shaped like an umbrella, shooting up a good 20-25 feet before spreading out. 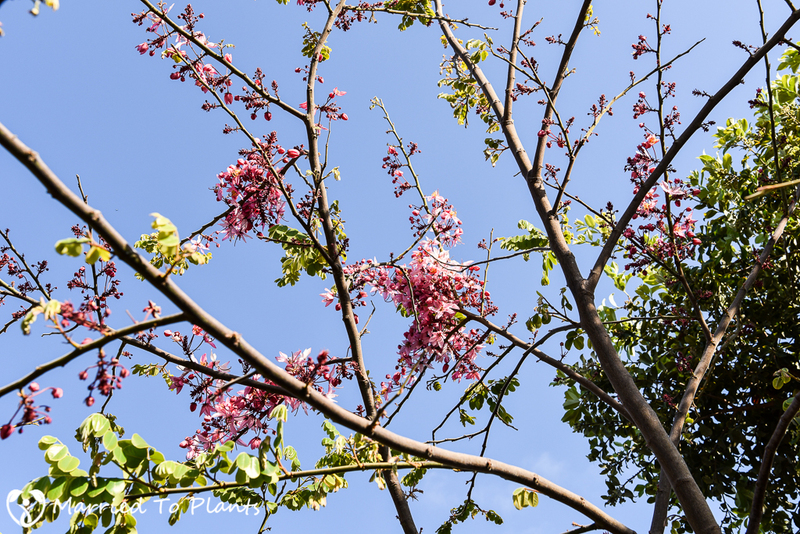 It was an impressive sight and it was soon after that I made my own purchase of a Cassia bakeriana. Mine was a sickly twig in a 1-gallon pot from Top Tropicals back in 2008. Now, almost 8 years later, it has thanked me for saving it by flowering for me. It was well worth the wait! 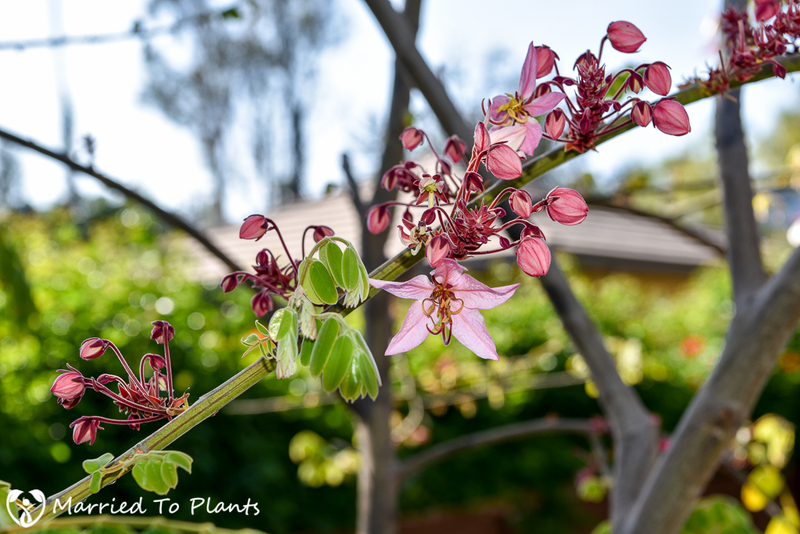 Cassia bakeriana is a showy, semi-evergreen ornamental tree which drops its leaves in late winter and pushes new growth in early spring here in Southern California. 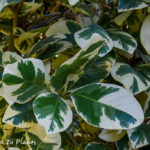 Native to Myanmar and Thailand, it is surprisingly cool hardy with the chance to grow in a 9B zone here in California. 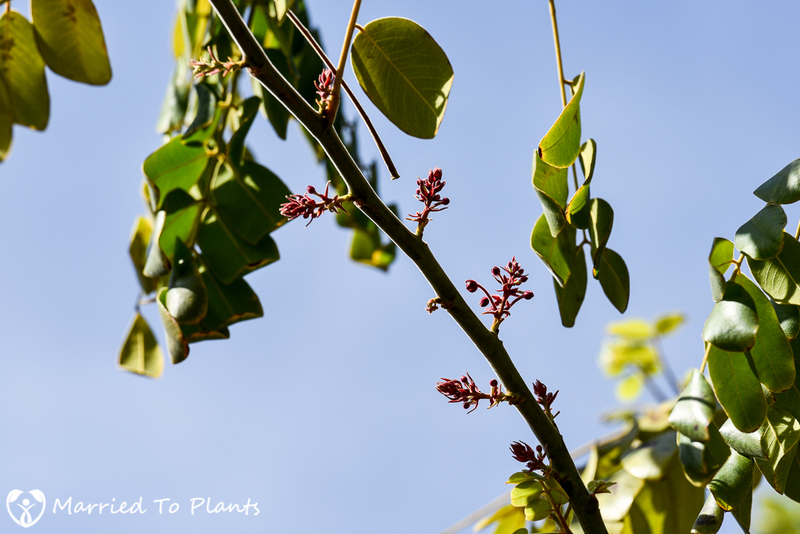 I say this because my Cassia bakeriana pushes new leaf growth in May while my Cassia javanica var. agnes won’t start until June and my Cassia fistula won’t start the process until July. This is a good sign of greater cool tolerance as the other two require more heat to start growth. As a general rule, I find all the Cassias I grow to be unfussy trees. They love full sun, water and a well-drained soil. You just have to be patient, as none of them grow quickly here in our Mediterranean climate. 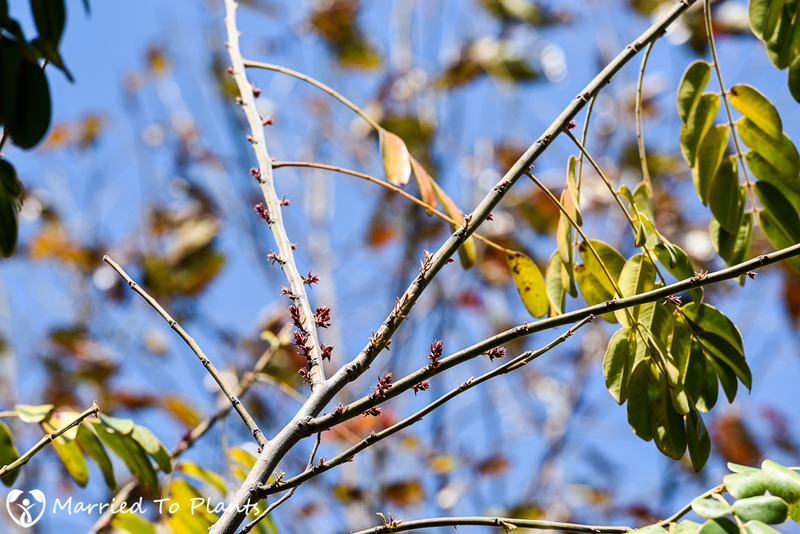 On April 13 this year I was looking up at my Cassia bakeriana dropping leaves (which is common that time of year) and saw something odd. What I saw looked to be an early flush of new leaves. Upon closer inspection they looked more like emerging flower buds. But wasn’t the tree too small to flower? 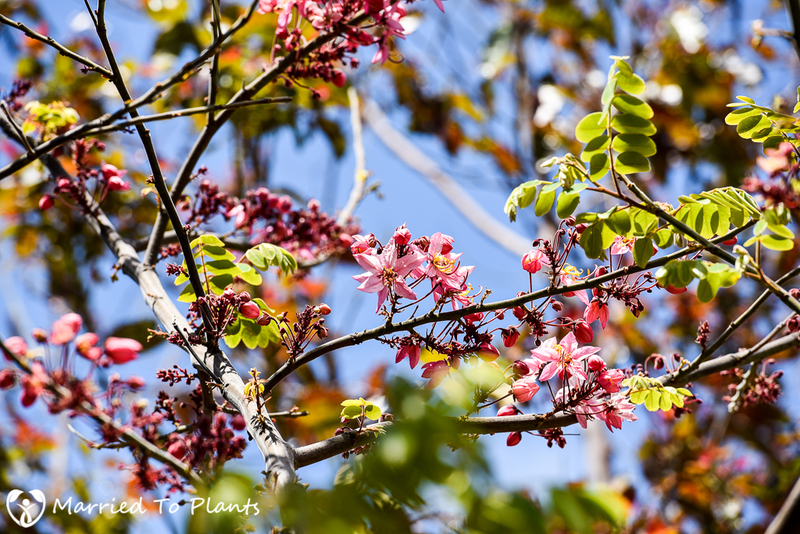 Isn’t April too early for a tropical flowering tree to flower in Southern California? A week later and it was easy to see those were indeed the beginning stages of flowers. 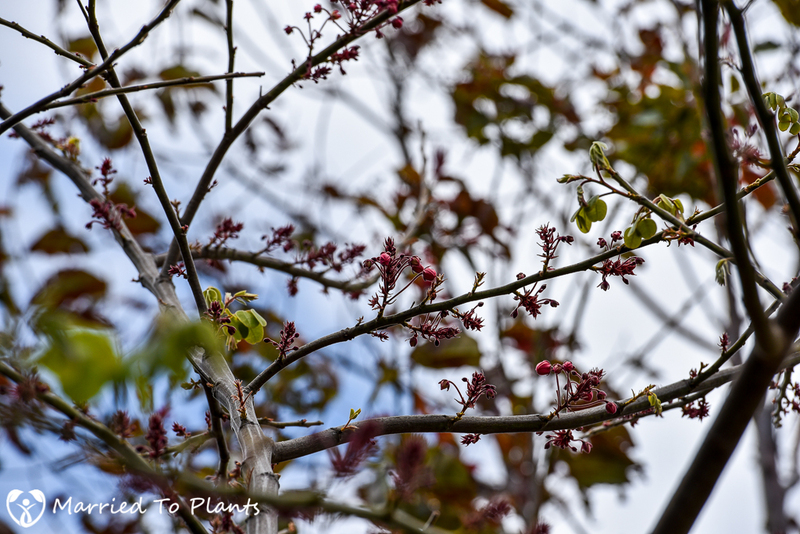 By May 8th, the first buds appeared. One week later, the first flowers would appear. It was time to celebrate. 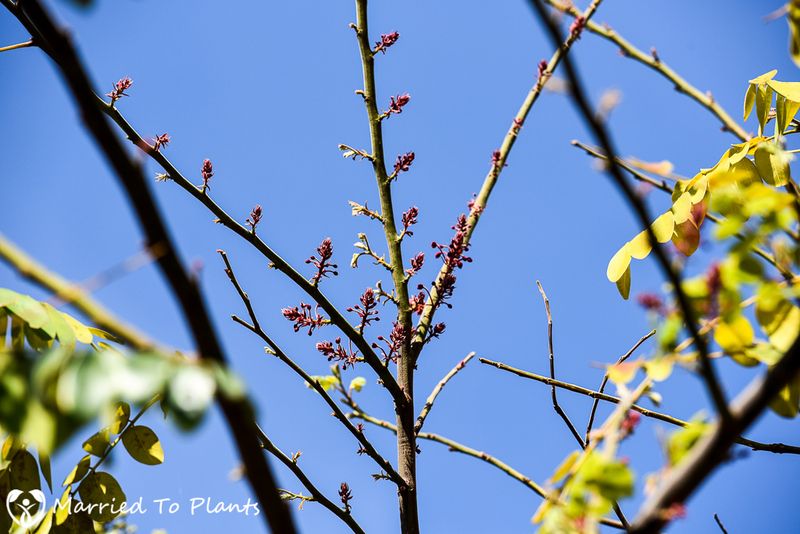 By May 23rd the show was on – five weeks after first noticing the emerging flowers on the branches. And here we are today. 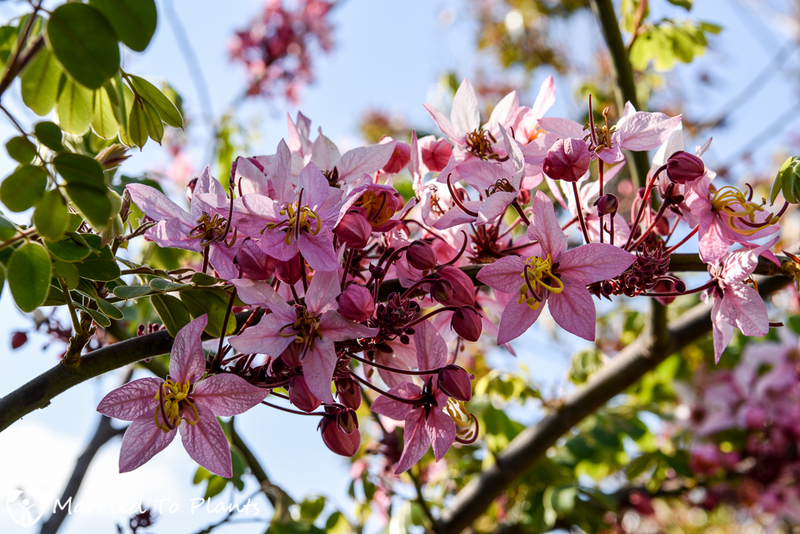 Branches wrapped in beautiful pink flowers with yellow stamens. The individual flowers vary in color depending upon age. 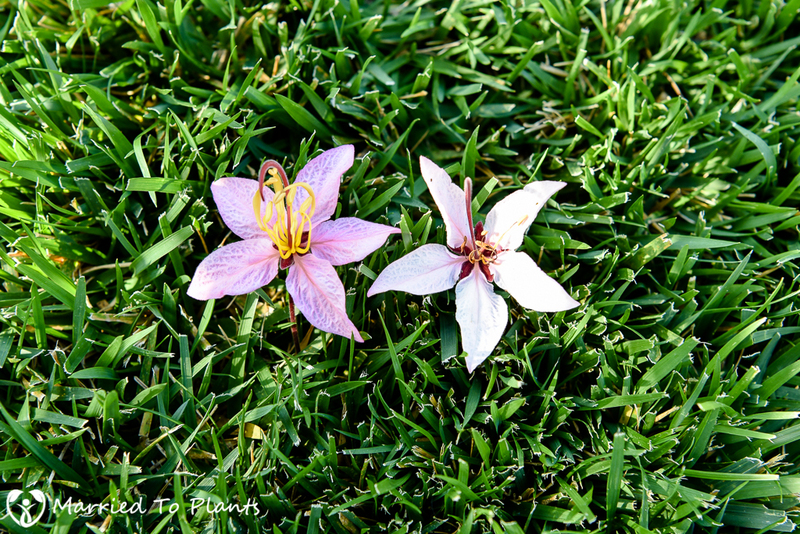 The flowers start out pink and then fade to a lighter pink and then white over time. Right now my Cassia bakeriana isn’t the showstopper it will become some day. Currently it is a leggy, small tree. 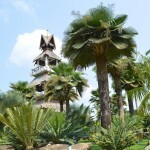 I have been limbing it up to push it above some palm trees I have planted under it. The tree started off as a slow grower but the last 3 seasons it has really taken off. I would imagine it will fill out nicely this year and the subsequent flowerings will only get better until it puts on the display I once saw at my friend’s place in Florida. Outside the beauty of the flowers, another thing I have noticed is that they last a long time. 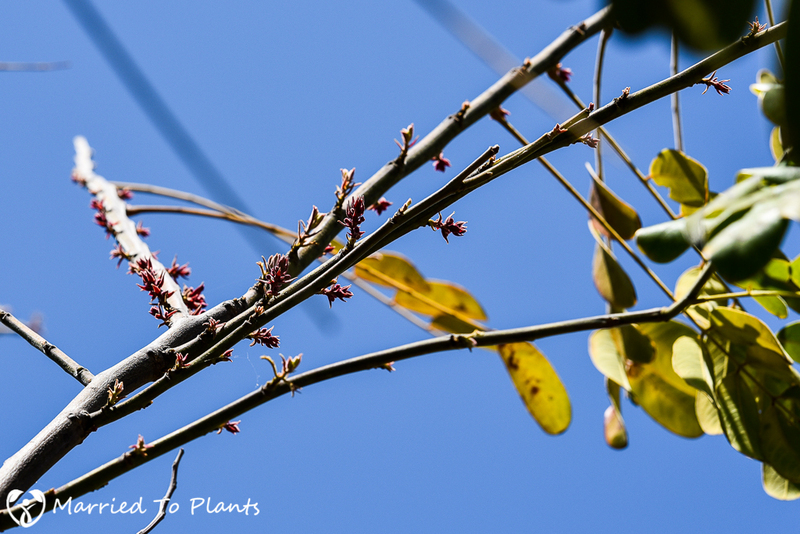 I think in a few years when my Cassia bakeriana gets more size, I could see a long blooming period of at least 4 weeks or more. 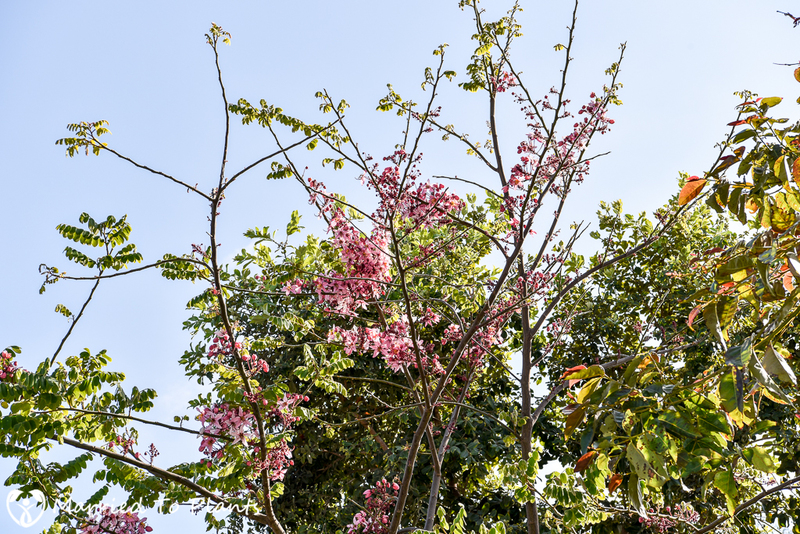 Each day as I admire my flowering Cassia bakeriana, I feel fortunate. Fortunate that I didn’t cut it down a few years after planting it and replace it with a palm tree. This almost happened on a few occasions. Patience won out and is now being rewarded. I now need that patience once again. This time for my Cassia javanica var. agnes. The little voices in my head are calling for its removal. This flowering will quiet them. 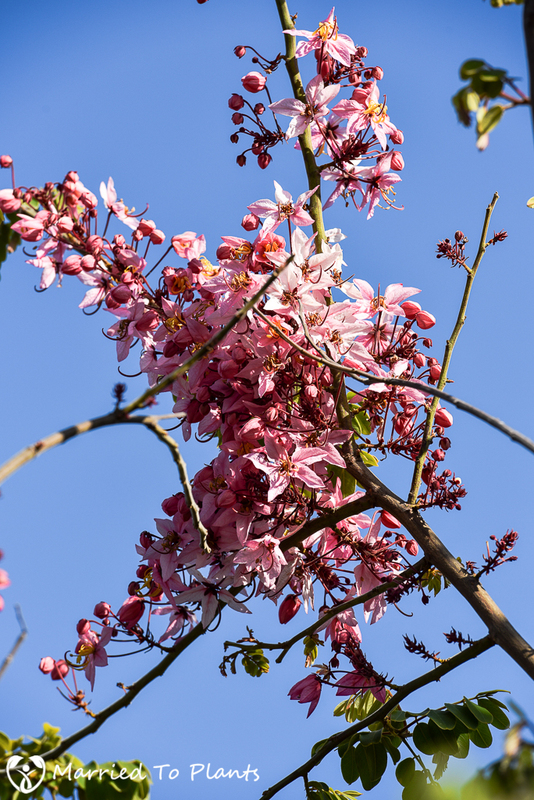 I wanted to load a recent picture of this Cassia bakeriana, which is still blooming almost 2 months from when the last photos were taken above. A blooming season of over 2 months is amazing. 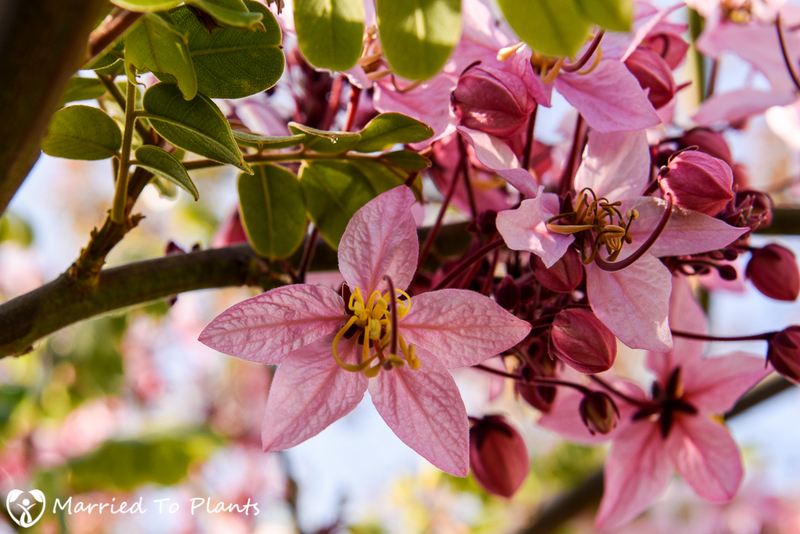 What a winner this beautiful flowering tree is turing out to be for our mediterranean climate. Congrats on the first flowering Len. I remember admiring this tree in Malaysia back when I was living in Kuala Lumpur in 1981. Woowww that took long until you got the first flowers. I grew them from seeds and after 3 years they are about 20′ and flowering. Must admit our climate is a bit different here at the Yucatan/Mexico.